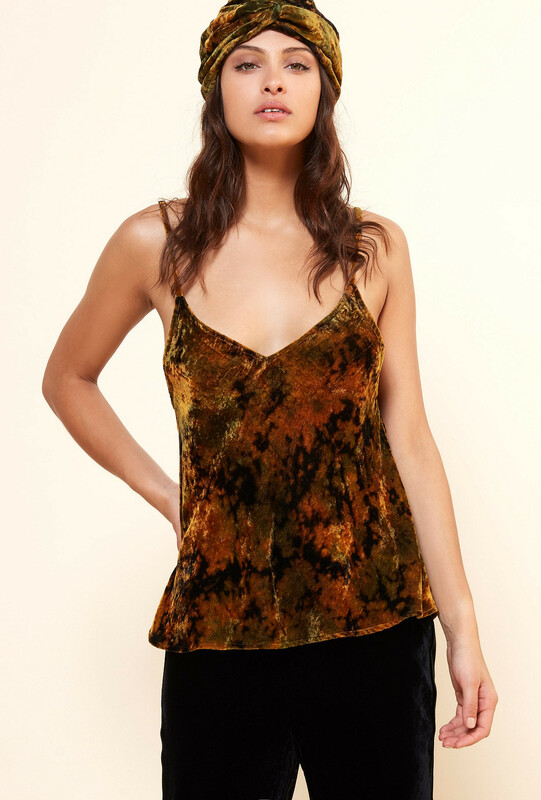 This silk velour camisole top has fine straps that lie gently on the bare shoulders. Its print in in autumn colors and its material give it a silk effect. It has a V-neck that accentuates the neckline.